As it hath beene sundrie times publikely acted by the right honourable the Earle of Nottingham Lord high Admirall his seruants. 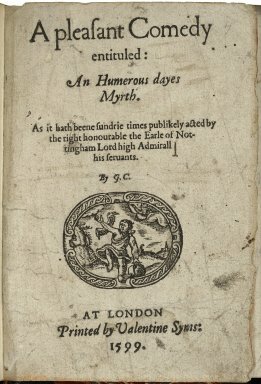 AT LONDON Printed by Valentine Syms: 1599. Title page imaged from Folger call number: STC 4987 copy 2. Image is not from the transcribed copy.